This is a rather strange story of success and failure. This topic focuses less on the built but rather what I have learnt in the process, and things that might damage your hardware. 2. Booting wise, I just plugged it in the thunderbolt port closet to the power adapter, I found out that only the thunderbolt 2 port closest to the power adapter works. Soon I plug it in, the fans in my Vega FE start spinning the moment I power I turn on my computer. 3. Booted into Windows, before driver installation, the monitor connected to the GPU is already working, only with Windows Basic Driver. 4. Install driver (Radeon Pro Driver), no error 12, done. 1. 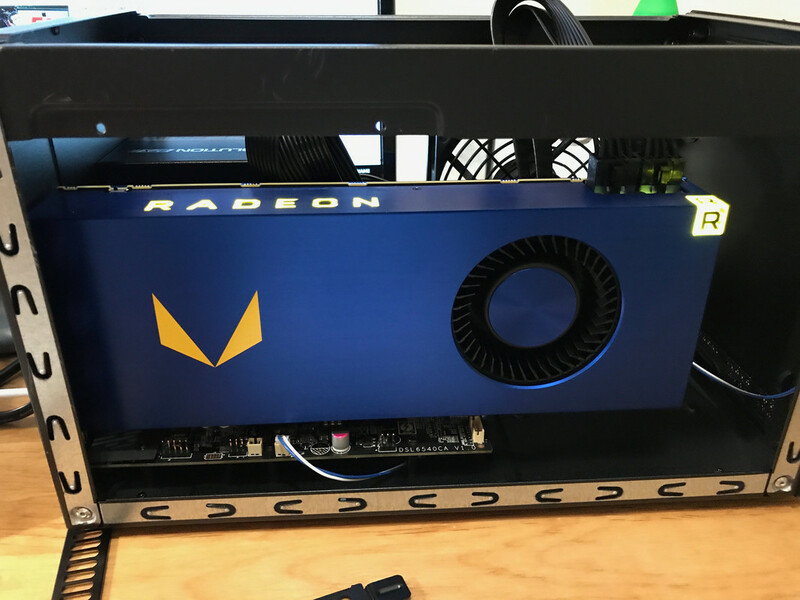 Vega FE comes with Pro Driver and Gaming Driver, both could work, but switching driver requires the MacBook Pro's internal monitor remain on (not clam-shell mode), or else it will crash the driver files and require driver uninstall and install again. 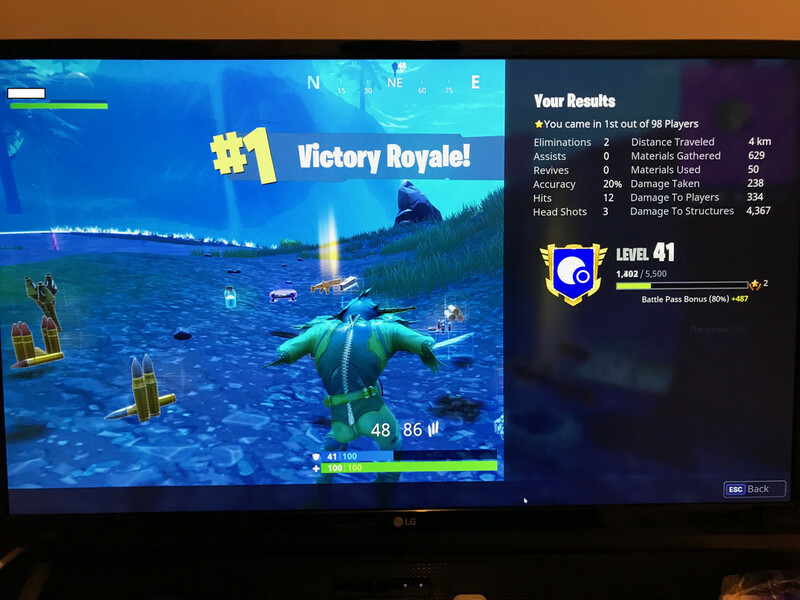 So I used it for months, playing Fortnite in windows, with my LG 4K monitor .... then one night I left the computer on and went to bed. Windows Update kicks in, which reboots my Mac when I'm asleep. As I have booted windows pressing Option Key during startup, the default boot is MacOS, and it booted into Mac OS. I woke up, saw that and immediately shut down my Macbook Pro. That was the last day I am able to use my eGPU with my Macbook Pro. 1. I used the eGPU on another Mac, it was functional, so it is an issue with my Mac. 2. I noticed that when I plug the thunderbolt cable in with my MacBook Pro, the lights on my GPU is on, but Fans not spinning, that means the eGPU enclosure (Sonnet Breakaway Box) detects a connection and turns on, but does not relay any signals between my Mac and the GPU. 3. I tried to use the thunderbolt ports on my Mac to connect to my LG 4k Monitor directly, it runs in 60hz without any problem. 4. If I boot into Mac side (High Sierra) once again, no more issue, under "Thunderbolt" of System information, it detects the Sonnet Breakaway Box 650, so there is communication on Thunderbolt, or else it will not recognize the model of the eGPU enclosure. It just did not detects that there is a GPU plugged into the eGPU case. 5. Brought the computer to Apple store, the lead genius at the store is so interested in this case and tried all the best to see if there is any fault on the logic board, they couldn't find any. 6. SMC and PRAM reset were completed many times, of no avail. So here's my theory, the thunderbolt chip on my machine is still functional, or else it will not let my dGPU output video signal, or let the eGPU enclosure tell my computer its model number, the PCI-E capability of the thunderbolt is compromised (e.g. the capacitor for that is fried), that means thunderbolt works, but will not carry PCI-E data anymore, that is why my GPU cannot handshake with my Mac. 1. Prolonged crashing state damages hardware. In my case it is the PCI-E capability of my thunderbolt, once it's compromised, eGPU is a bye bye. After the "Accident", I could not boot into Mac OS High Sierra, in single user mode it says there are problem with the Base Volume. Only when I uninstall Purge-nvda and purge-wrangler.sh I then could boot up to Mac OS. Troubleshooting took months, please feel free to ask me any questions. Now that the new Mac Mini is out with 6 cores, I want to buy it and pair it with my Vega FE, but AMD cards have been troublesome in bootcamp (with Error 12), do you guys think it will work? Mac Mini does not come with iSight camera or anything, so there is not much to disable to free up resources, so if it doesn't work, it probably will never work.